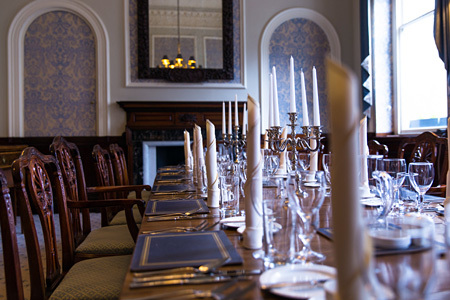 The Mike Clare Room is on the first floor, reached via the beautiful oak spiral staircase that runs up through the heart of the house. 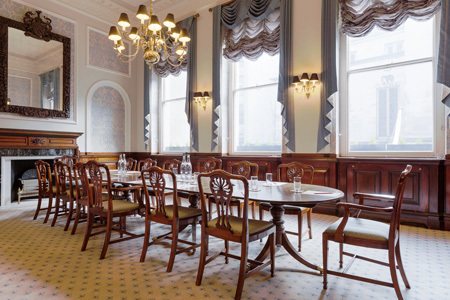 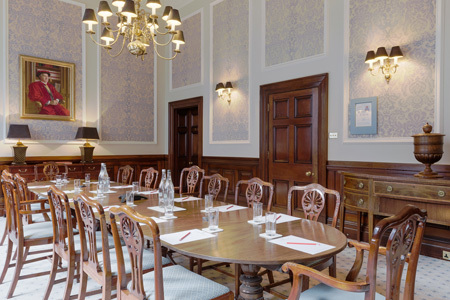 The Mike Clare Room features a high ceiling with ornate cornicing, a carved wood and marble fireplace and a finely crafted boardroom table and chairs. 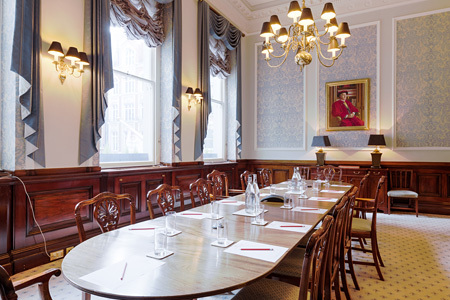 There is a view to the front of the building from the three tall sash windows, which overlooks an attractive Dutch Church. 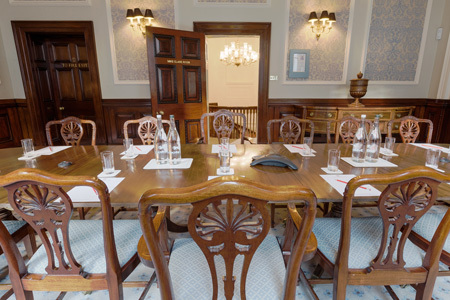 Up to 16 people can be seated for a boardroom style meeting, or twice that number in a theatre style configuration, The room has full WiFi and telephone facilities and other business services can be provided by the on-site event management team. 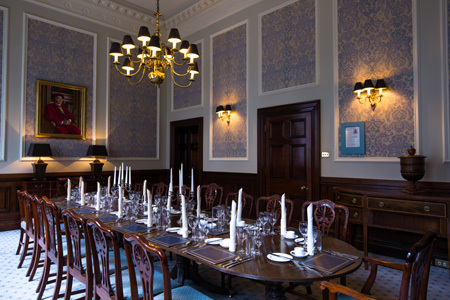 The Mike Clare Room can comfortably seat up to 16 guests, or accommodate up to 25 for a more informal reception.